The first two of fifteen Lockheed Martin Australia F-35A deployable cabins critical to successful Joint Strike Fighter (JSF) operations have been delivered to the Australian Defence Force (ADF), marking an important milestone in the Australian JSF Program. The Deployable Duty Facility (DDF) cabins are an essential component of the deployable information systems capability for the F-35. Chief Executive of Lockheed Martin Australia, Vince Di Pietro, said that the ADF’s formal acceptance of the deployable facilities was an important milestone in the lead up to arrival of Australia’s first two F-35A aircraft. “The deployable cabins are an evolutionary development and play a critical role in operating and maintaining Australia’s F-35 fleet whether from their home base or deployed further afield.” said Vince. “DDF mission system evolution involves the digital development of our deployable facilities and has the ability to accommodate the full operator workforce needed to utilise fully F-35 capability when deployed from home base. “When operating the F-35, off board information systems are required to operate seamlessly in operational scenarios, these Australian built and designed cabins make this possible,” Vince explained. 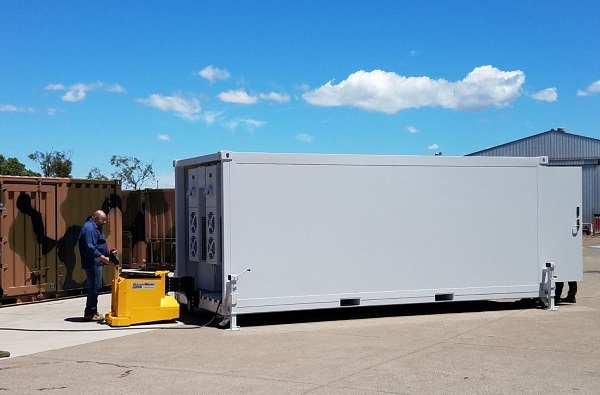 “The standard ISO sized cabins meet the highest-level specifications for transport by air, land or sea, security and sustainment and their digital systems are optimised for ADF operations. “Lockheed Martin Australia has the necessary System Integration experience to design, develop and integrate advanced technology products and systems to support the ADF.